I have to be honest. Sometimes I do crafty things that are not knitting. 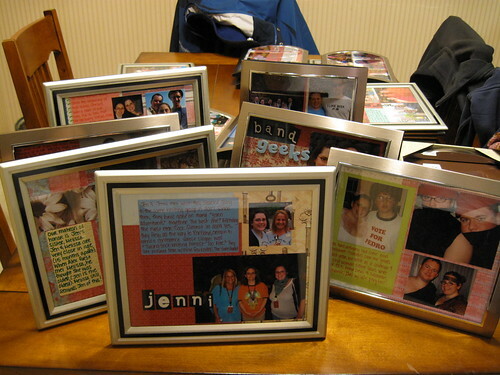 The truth is, I also love to scrapbook. 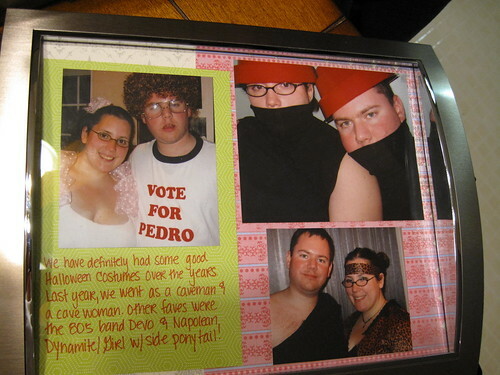 And, while I dream at night of having a knitted wedding, really, that is not practical. 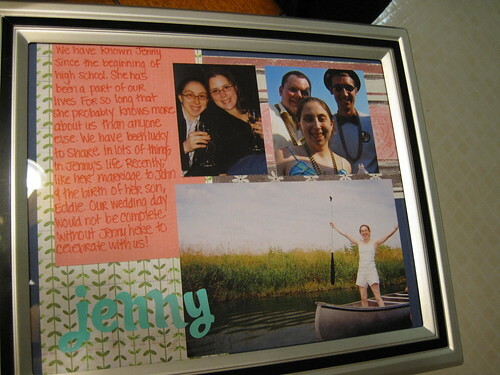 But using all that scrapbooking stuff for the wedding? Hell, yeah! So, while this is a knitting blog (duh), I will probably be posting all my crafty wedding stuff as time goes on. Here is the project of the last couple weeks: My friend, Kimi, at her wedding, had these little cards on the tables at the reception with little notes about how she knew the people standing up in her wedding with a picture. 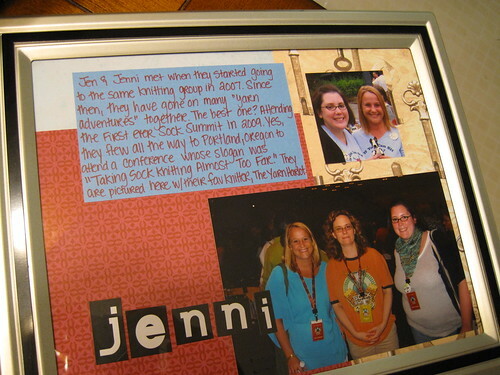 I really loved that idea, and decided to do my own little scrapbooky twist on it. I also included a few with pictures of just me and Alex, since there will be more tables then there are people in our wedding. Here are a few closeups. I think these will be a big hit at the wedding! I have plans to do some family things like this too. So what else is on the wedding craft list? Knit a shawl/scarf for each of the 7 bridesmaids. These are not to wear to the wedding (that would be way to much knitting in navy blue yarn), but just to have. I have completed three, have a fourth that should be finished tomorrow and have started the fifth. Not bad for my wedding still being 8 months away! 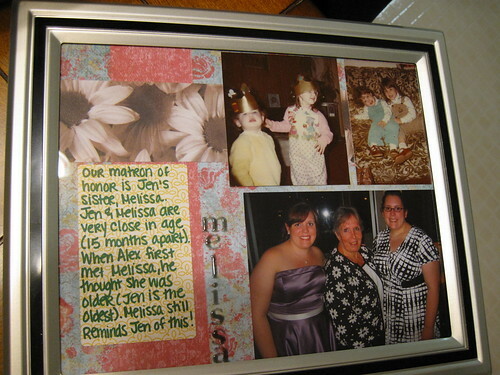 A few more of these scrapbook pages in frames with pictures of our family. Our guest book. I saw one in a magazine I liked and I went to the website and it was going to cost me $70! Uh, I'll make it for $12 thanks. I don't think that is too bad.